We have to laugh or we’ll never survive this kind of craziness! 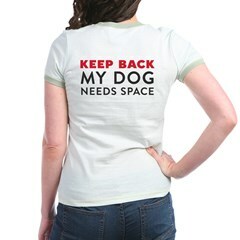 My DINOS dog doesn’t need space because he is aggressive – he needs it because he is WORKING!! He doesn’t need any distractions from anyone! Please don’t possibly jeopardize my health, safety or life by ignoring me when I say “NO!”. Please don’t assume that my dog IS NOT friendly just because we don’t want to interact with you. I REALLY don’t need the stress of your nasty comments nor does my dog need to worry about my health because my blood pressure is now rising! No means No! When did people stop understanding that simple word? Those nasty comments really do get my blood boiling, no matter how hard I try not to let them get to me! GOOD! And, BTW, EVERY SINGLE SERVICE DOG – especially guides for the blind are DINOS, whether they (and their owners) know it or not. When you distract or let your kids a working dog you interfere with its ability to do its job, to assist its owner! I have another acronym for you to consider adding to your list. I made it up and have been using it for at least 7 years. You need to add to the DINOS pledge: “I will invest the time and effort necessary to help my dog deal with any issues he may have.” I had to, and it was good for both of us. Hi George, You read my mind! I actually did have something like that in there, but took it out, after a lot of thought, because there are so many DINOS that do not have any issues that require training/modification. For instance: service dogs, elderly dogs, working dogs, blind or deaf dogs, or dogs that are social and are being trained to be polite and calm in public. For that reason, I didn’t “require” DINOS to commit to training. However, my own dog is leash reactive and I do believe all families with DINOS that are struggling with behavior problems should committ to working on them. I’ve seen many, many DINOS improve with some effort. Thanks for reading! Thank you so much for your blog! Jada, my first dog, doesn’t know what to expect from strange dogs (especially when she’s on the leash) and reacts poorly so we don’t let them near her. She is great with dogs she does know and has passed her CGC (very obedient). Thank you for saying she’s not a bad dog for needing her space! I’ve heard the opposite so many times I was beginning to believe it. Aw, this made me so happy. I live and work with DINOS that I love and I know how wonderful they are…they just need some space! Congrats on Jada’s CGC. She’s a good girl! This, and your earlier post, explains everything that I wish I had the presence of mind to say when confronted with a MDIF. My DINOS and I are working on his fear/reactivity issues, and every negative experience with an OLD/MDIF/ROAR sets him back juuuuuuuust that much. If dog owners decided to follow your guidelines, I think we’d have a lot more comfortable DINOS. My neighbor’s dog attacked my late golden retriever “Bailey” twice while we were walking up our street…… both bites required a vet visit. The first incident occurred when this dog jumped it’s own fence on me an my unsuspecting LEASHED dog….the second incident occurred when the attacking dog was an OLD. The owners had the NERVE to say to me “Oh, he just doesn’t like golden retrievers. He is friendly to everyone else…” What the?? How about get out of denial and accept that your dog isnt friendly and possibly a DINOS and you need to protect him and other dogs in the neighborhood!!!! 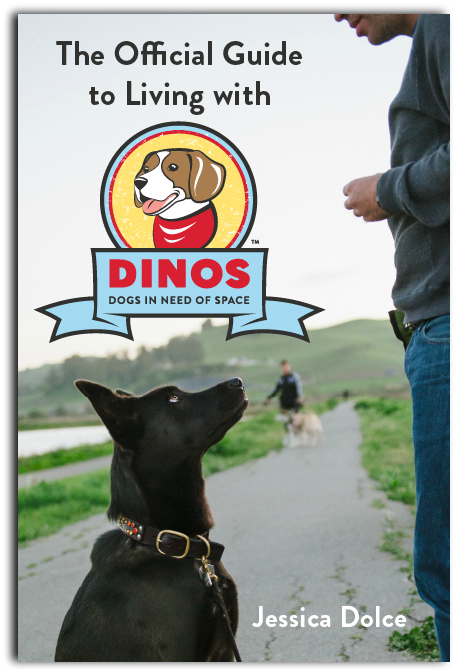 All you DINOS owners might want to check out a product from our friends at The Pawsitive Dog: http://www.pawsitivedog.com/DogInTrainingVest.html. The letters on this vest are large enough to be read from a distance! As a trainer, I often hear horror stories from my students about all the ignorant people who can’t seem to get it through their heads that not every dog is as friendly as theirs. In reality, most DINOS are just frustrated or fearful when on leashes, and not truly aggressive (some of them actually do play nicely with others when they are off leash), but some are aggressive enough to bite if “cornered” and it’s not worth the risk for you to let your dog invade a DINOS space to find out. 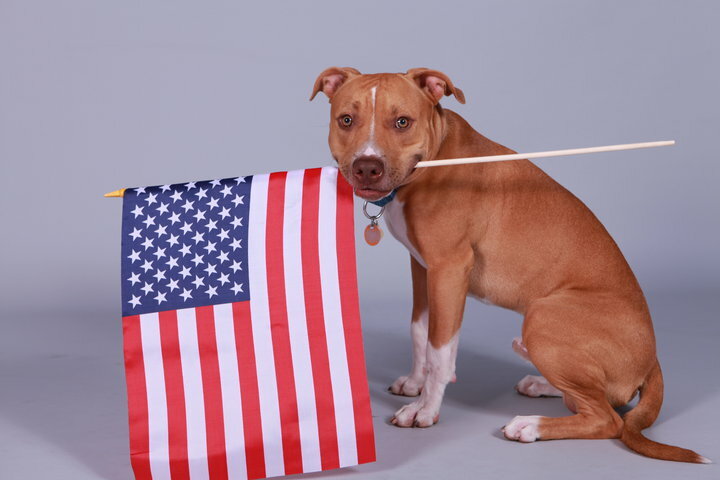 It’s imperative to teach your own dog a proper recall before you ever let it off leash, and it’s also imperative to obey leash laws and only allow your dog off leash in designated areas, dog parks, or on your private property. Oh, and a note about dog parks…they are NOT a place to do remedial socialization on your dog. If your dog has a problem with other dogs, you don’t belong there using other people’s dogs as guinea pigs! Contact a trainer or behaviorist instead. Dysfunctional owners w/ dysfunctional dogs. walking a dog would not require a manifesto if many dogs were not so dysfunctional. dogs are supposed to be free and happy and enjoy engaging. people who believe otherwise should move to Schaumburg and be happy. Actually, Bob, you have a point. That said, there is empirical proof that some dogs are born weak-nerved, which can set them up for a lifetime of fearful, overly reactive or as you succinctly said, dysfunctional behavior in “normal” situations. I suggest you might read Patricia McConnell’s For The Love Of A Dog. I do think the enormously large number of overly reactive dogs today is an indication of several things, such as bad breeding, poor training, canine overpopulation and the fact that we have succeeded in transposing our own human neurosis to our canine companions. I’ve owned multiple dogs for over 40 years. Twenty years ago a canine in emotional “crisis” was almost literally unheard of and when it occurred we didn’t buy books, DVDs, attend special handling classes or anything of that nature to accommodate them. We simply kept them out of mainstream circulation and culled them from breeding practices. Imagine that! Oh Bob, so quick to judge! Would you call Search and Rescue Dogs dysfunctional? Or a teenage dog learning polite leash manners? What about a blind dog? Or one with an injury? How aout a Service Dog working with their disabled person? Have a little compassion – one day your “perfect” dog may too become a DINOS and then you’ll wish others would respect your right to space. I lived with a blind dog for 10 years. He was not a foo-foo pushover, he was a cattle dog. One of my current Cattle Dogs IS dog-reactive … which can be very typical of herding dogs. (Things that make you go “Hmm”) I’m not Bob, but I seriously doubt he was referring to the examples you cited. He makes a valid point. I honestly believe a lot of “reactivity” is self-created by people who …. probably unintentionally … teach their dogs to over-react in certain situations. I know that because I personally had to own some of the crap I created with my dog-reactive dog. Some of it is due to his weak nerves, but some of it is MY fault for over-reacting to his reaction. If you attend special classes for dog reactive dogs you’ll soon learn that the handler’s body language often feeds the dog’s negative reaction process. Often, the human doesn’t even know this and worse, has no idea how to stop it. 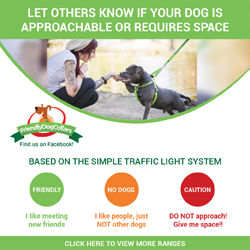 You’ll never get everyone to respect your dog’s personal space so ideally, the ticket is to try to reprogram you and your dog’s behavior, or take the dog out of mainstream activities. (I’ve done both) Obviously, I’m NOT talking about service dogs etc, etc, etc., but Instead of people boo-hooing about everyone else (which is reactive behavior) owners should start looking for resources to help them cope with their reactive pet. (Proactive behavior) I listed a good resource … why don’t you try to encourage readers (who’ve had success helping their dogs) to share their training methods? I know from personal experience that there are many ways to work on this issue. HI Rontuaru, That’s kind of the point: you don’t know why a dog might need it’s space (service dog, puppy in training, reactive), so it’s best to exhibit polite manners and ask permission before you allow your dog to interact with a stranger’s dog. This is simply a call for better manners which will lead to safer interactions. It’s the same stuff I teach kids in my dog safety lessons: Common sense, polite manners, respecting each other’s individual needs. I have a reactive dog, I’ve assisted in reactive dog training, and I absolutely agree with you about our own body language and our personal responsibility. I encourage those with reactive DINOS to go to training classes (the Facebook page is filled with shared resources), however: no matter how well trained you or your dog may be, when a strange, unwelcome dog is allowed to jump/rush/chase you, it isn’t fair and should not be tolerated. Yes, keep working on your DINOS. No, you don’t have to accept rude behavior from strangers. Will the world become an ideal place for walking DINOS? Of course not, but we can at least try to educate and judging by the emails I’m getting, the message is spreading. I don’t know where you’re getting the idea that I think DINOS shouldn’t be trained and we should only rely on MDIFs to change their ways. And I’m not pointing fingers. I’m pointing out how we’re all responsible for our actions. DINOS families work on their dogs, MDIFs work on being polite. If both sides do their parts, we’d all be better off. And YES, I’ve had quite a few emails from MDIFs who didn’t realize what they were doing could be a problem. I’ve also heard from dog trainers that have begun talking to MDIFs in their classes, explaining why not all dogs want to be greeted. Seems to me that some MDIFs are getting the message. There are a million resources for DINOS to learn how to handle their reactive dogs, but apparently not enough resources for dog owners to learn how to be polite in public. My little blog won’t fix things all together, but it’s still worth a try! I found you through a link from the Mutts Gone Nuts Facebook page (and Liked the DINOS page on FB). Thanks so much for addressing this topic. I have a DINOS dog who we love and it’s nice to read that we’re not the only ones, and to be reminded that we have rights, too! One thing I haven’t noticed you mention and I’m curious about your feelings on this: the electronic fences for dogs. My dog seems to be okay when we walk by a house with a dog out front (presumably controlled by an electronic fence) as long as the dog stays in its own yard, but personally I am a little freaked out because I don’t know for sure that the dog is controlled by the fence (can’t always see the collar) or if it’s even on. I know people have them for aesthetic reasons, but I kind of wish they’d put a little sign out front that says, “Dog is secured by an electronic fence,” for my peace of mind. I’ve only seem something like that when the dog is still in training. I am a service dog. My need for space is for a different reason and. I may be working off lead. I wear a vest at work that says “Service Dog – On Duty”: Please, Don’t Touch Me. I just found your blog and it’s great! I have a DINOS, she just doesn’t like off leash dogs coming near her and lets them know. It’s embarassing and I get stressed out because I don’t want to see another dog get hurt, I don’t want people to think she’s mean, she loves people, just not dogs. I’m glad I’m not the only one and of course we work with her all the time. She is fine if they are leashed and will walk on by with no reaction, it’s when they come up off their leash…..